Freelancing is an art, its a way to earn a living by utilizing one’s skills without committing to any employer long-term. Freelancers lend their services to several clients/customers at a time, potentially having several active contracts at once. This form of employment has become popular in recent years thanks, in part, to the internet providing an array of platforms and opportunities for both freelancers and clients to get work done. 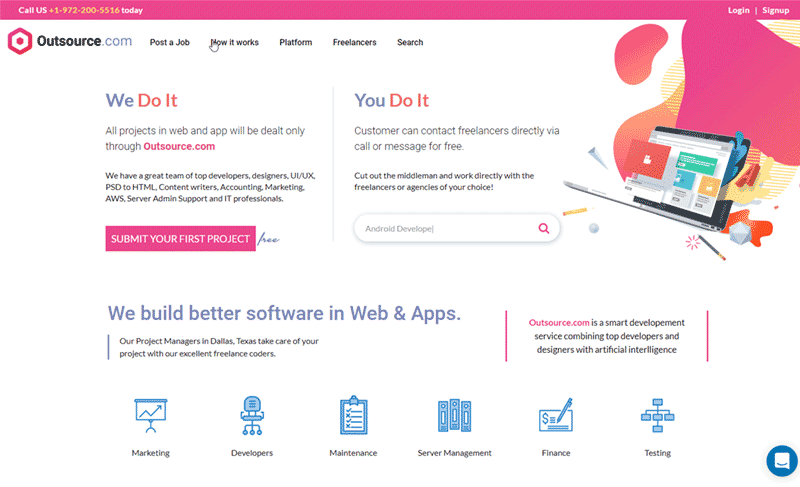 Freelance websites come with many different specializations, requirements, price ranges, and methods for attracting clients in need. 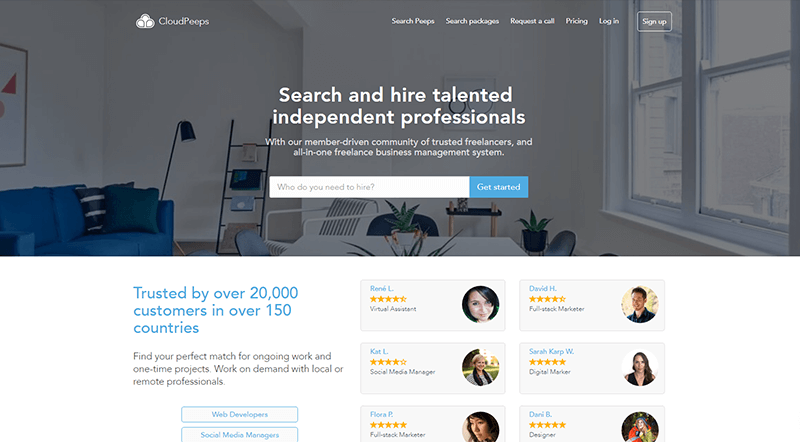 For your convenience, we have compiled a list of the most popular freelance marketplaces available today. Please vote on your favorites, it will bring them to the top of the list for more people to see. If you have used any of these sites please vote for them. Whether it was a possitive or negative experience, we would like to get your feedback. 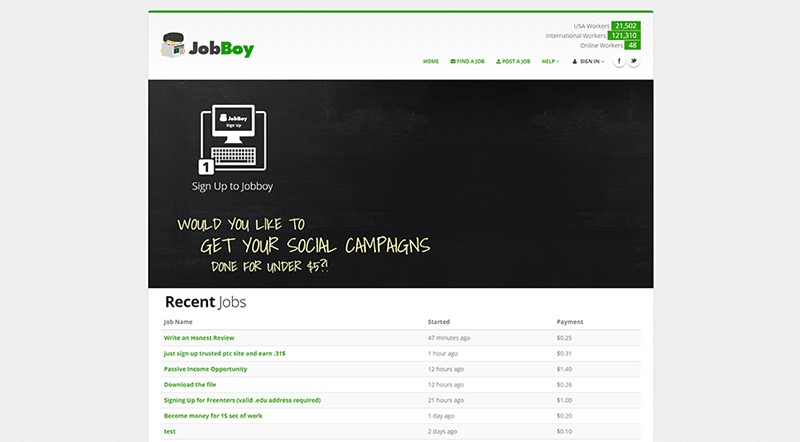 JobBoy is dedicated to helping talented workers find good jobs. 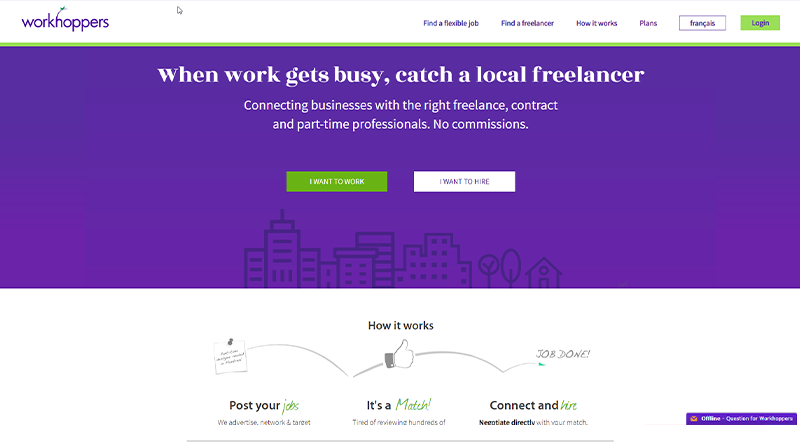 It currently works with thousands of freelancers from all over the world. 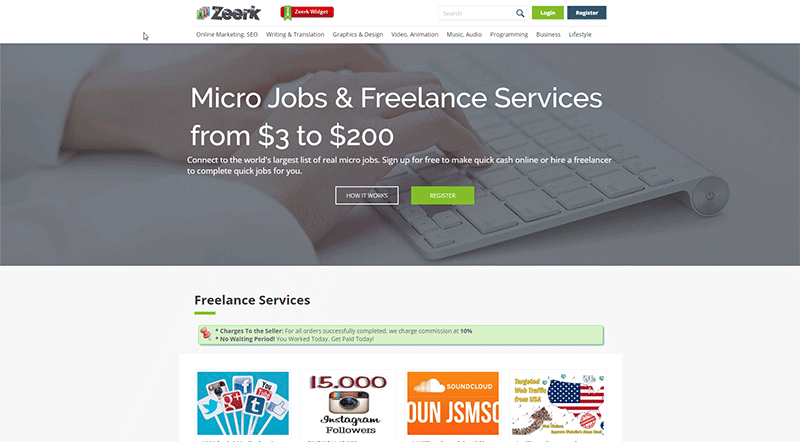 Freelancers sign up for free and can begin making money instantly. 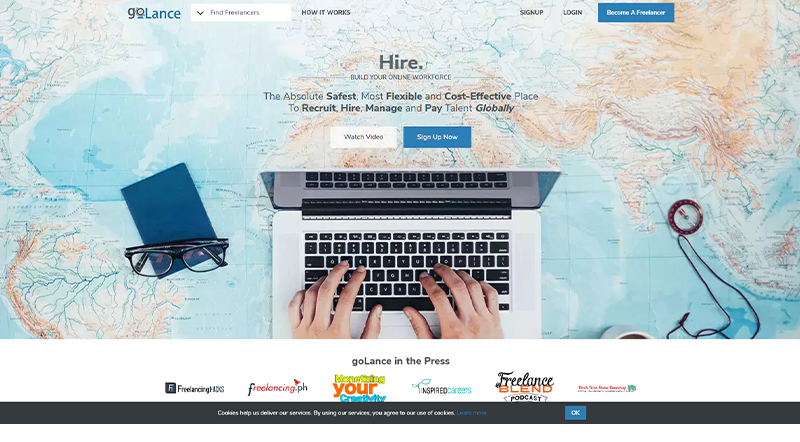 Workhoppers is a site that posts positions for freelance, contract, temporary, or part-time job seekers. 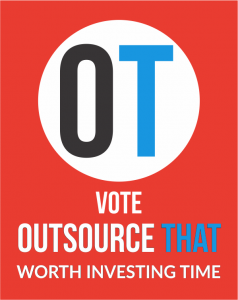 Those posting jobs can use Workhoppers to not only find help outsourcing, but also connect those positions to their social media accounts. 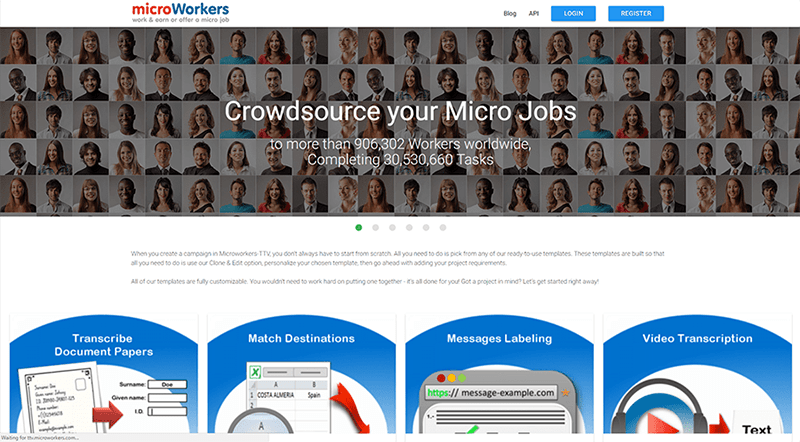 RapidWorkers is a micro job website that allows over 100,000 crowdsourced workers to make money fast while employers get the services they need. 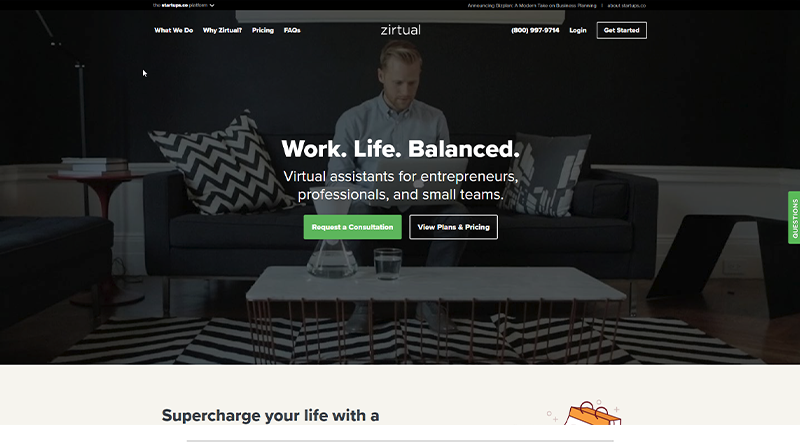 Some of the most commonly requested services include blogging, reviews, and social media following. 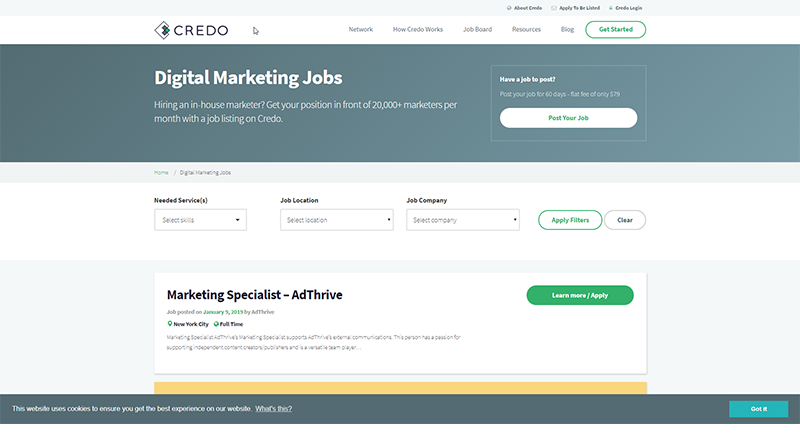 Credo provides SEO and digital marketing services for businesses. 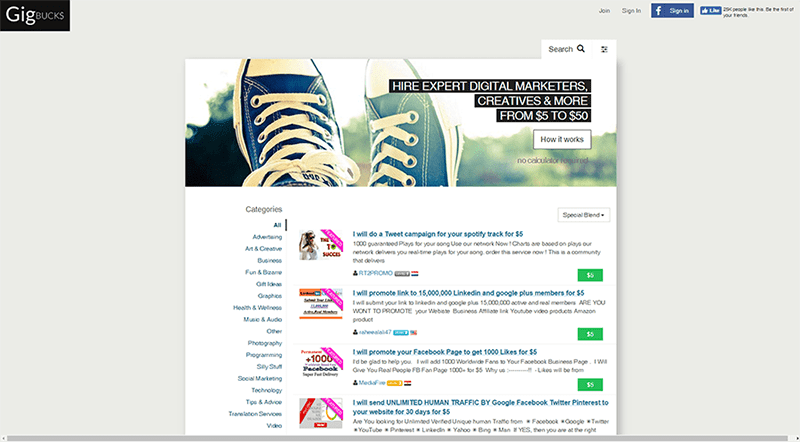 They offer content marketing, link building, Google Adwords, Facebook Ads, and job boards among their many services. 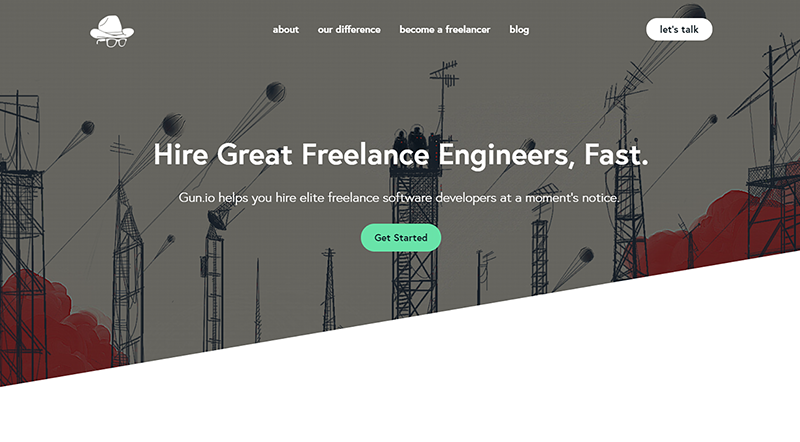 Student Freelance was created to connect employers in need of assistance with American freelance students looking for work. 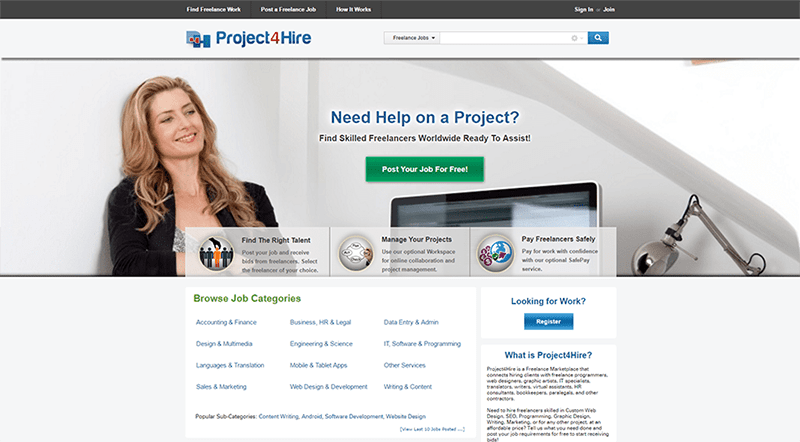 The website is designed to keep students employed while stimulating the US economy and providing the talent employers need. 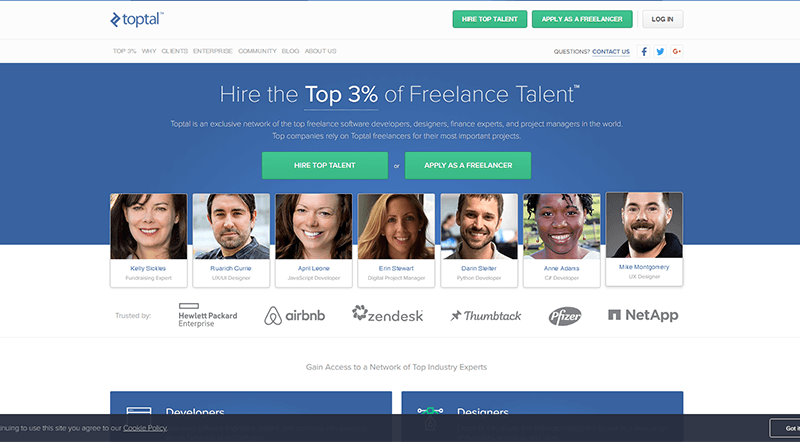 Toptal is a network of top-quality freelancers in software development, design, and finance. Only the highest rated freelancers are eligible to join Toptal, and the site connects the top 3% of freelancers to buyers in need. 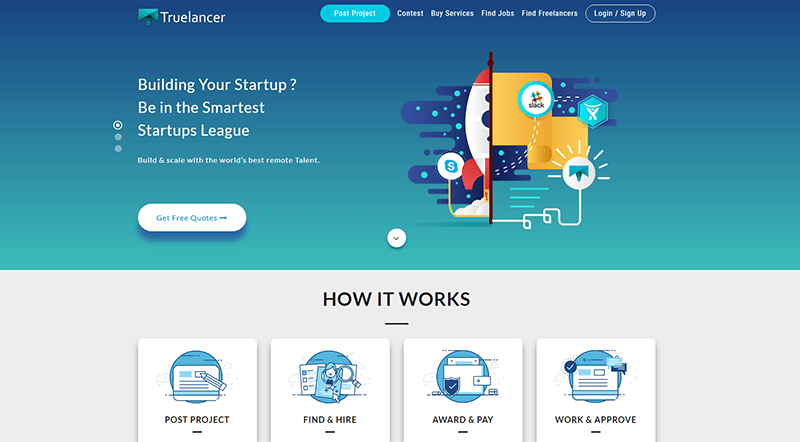 Truelancer caters to buyers and providers of quality work in graphic design, writing, programming and technical support, administrative assistance, sales and marketing, music and audio, and more. 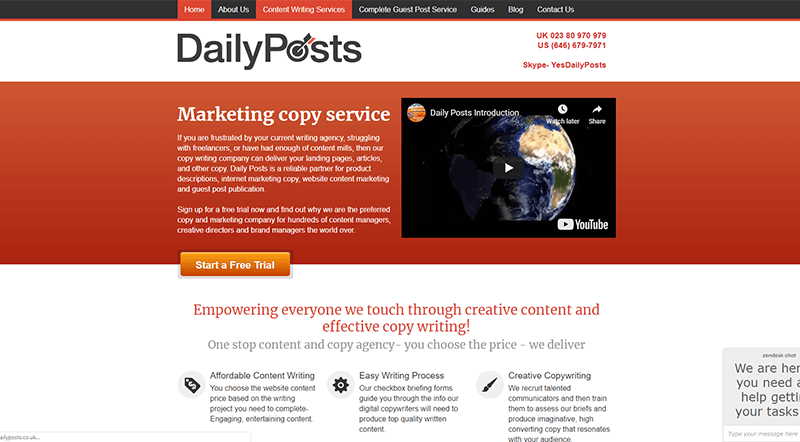 DailyPosts is one of the more popular online writing services. 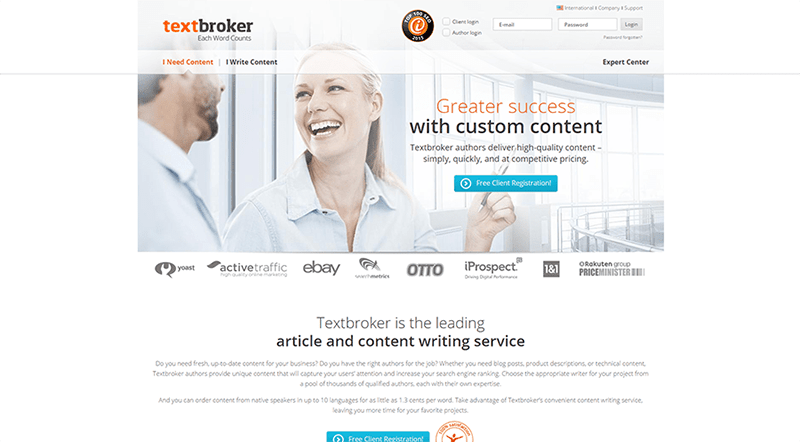 It’s well known for its copywriting and SEO content writing services, like website content, marketing copy, and e-commerce copy. 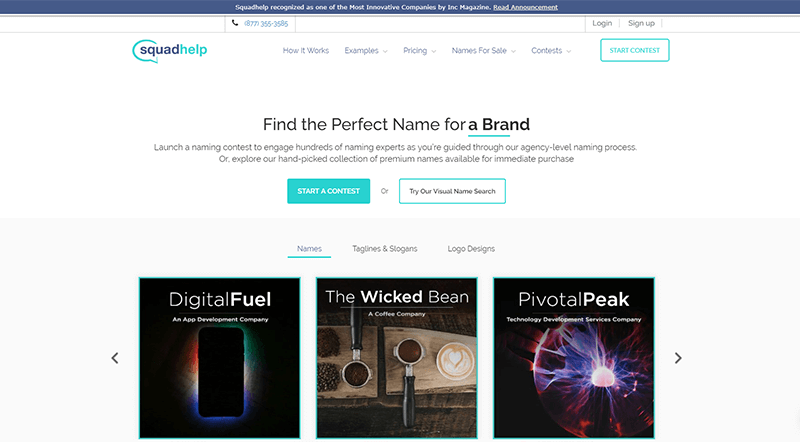 TopCoder is a crowdsourcing website dedicated to offering top quality work from designers, developers, and data scientists at an affordable price. With over one million members, it’s easy for buyers to find what they’re looking for. 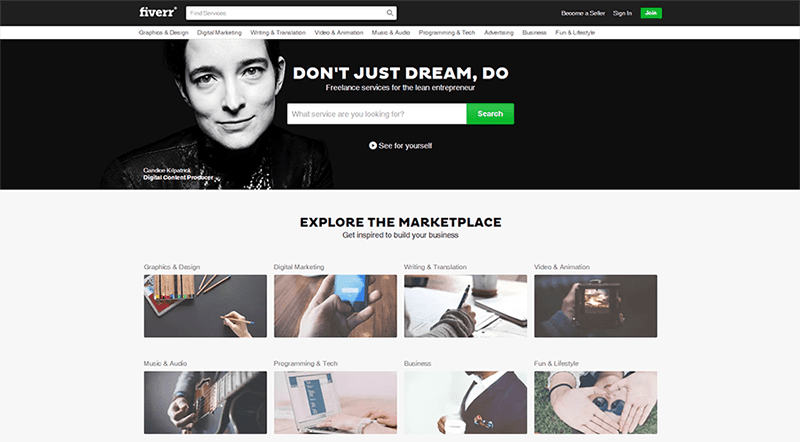 Fiverr is currently one of the most popular freelance marketplaces, and it offers many high-quality services for just $5.00. You can browse service providers in a variety of categories including advertising, music and audio, and fun and lifestyle. 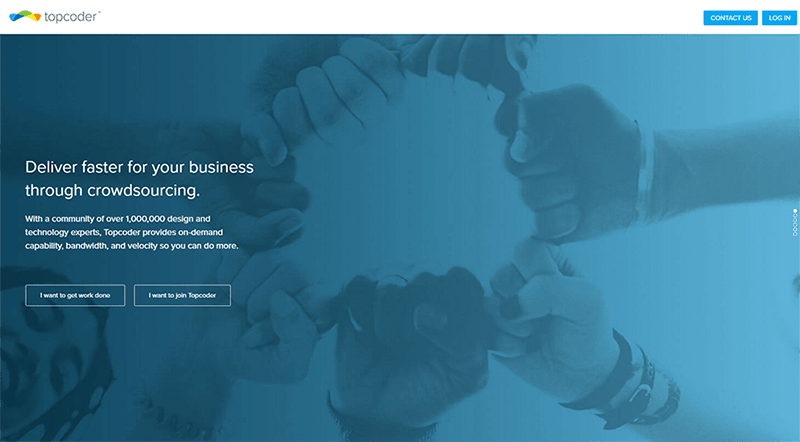 Golance is an online work platform that offers not only job connections for freelancers, but tools like time tracking, a work diary, and metrics reporting. 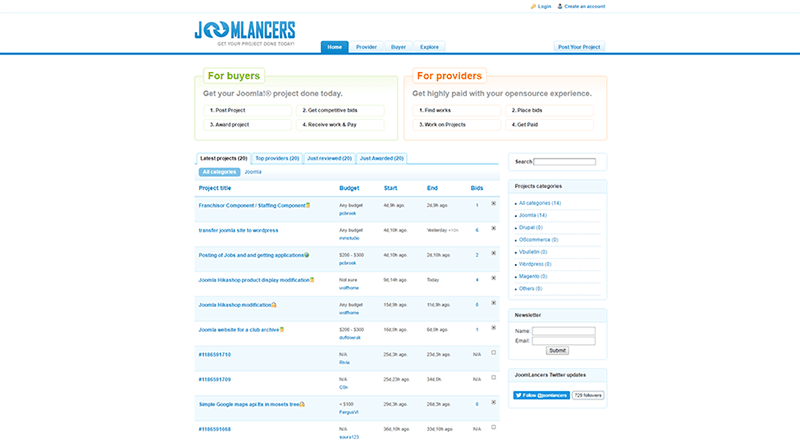 Once a freelancer builds a GoLance profile, they can search and apply for jobs. 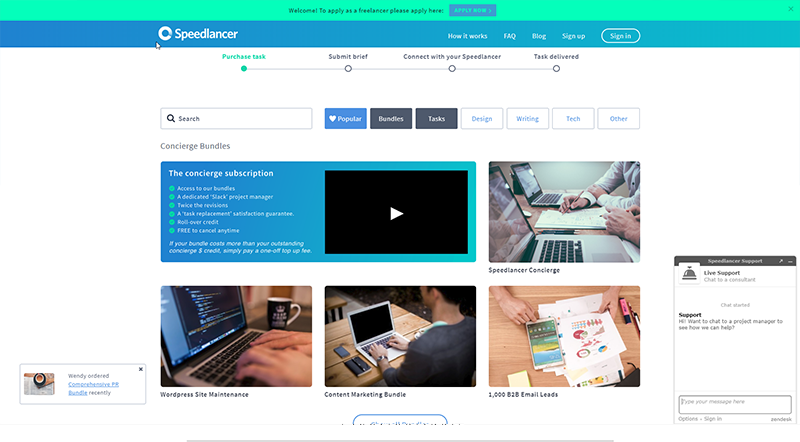 Speedlancer offers several job categories that freelancers can apply for. 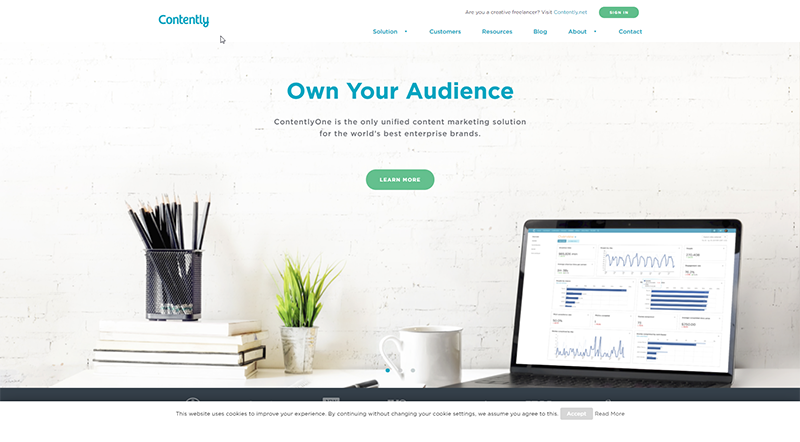 Although they change based on customer need, representative categories are: data entry, senior content writer, video editor, virtual assistants, and marketing designers. 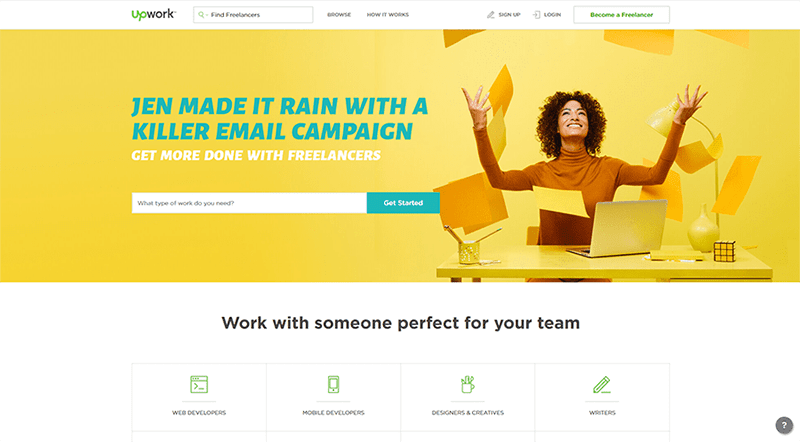 Folyo is one of the few freelancing companies that runs over email and doesn’t take a cut or commission from the freelancer’s income. The free membership allows access to a limited amount of projects and emails from Folyo will include advertisements. 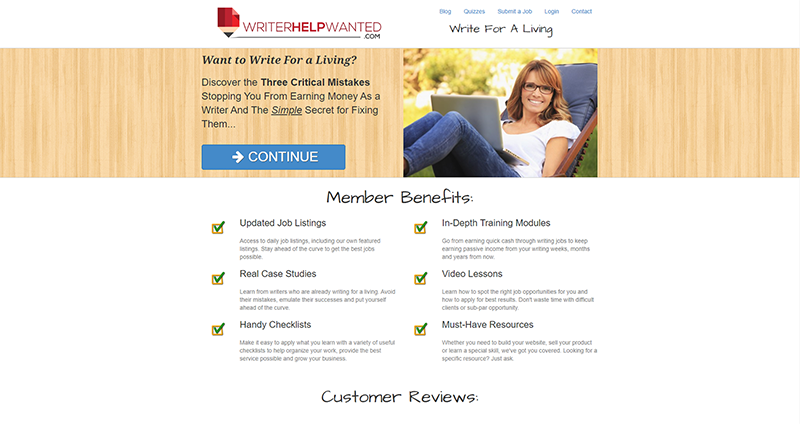 WriterHelpWanted allows people to submit jobs and connect with a pool of talented writers. 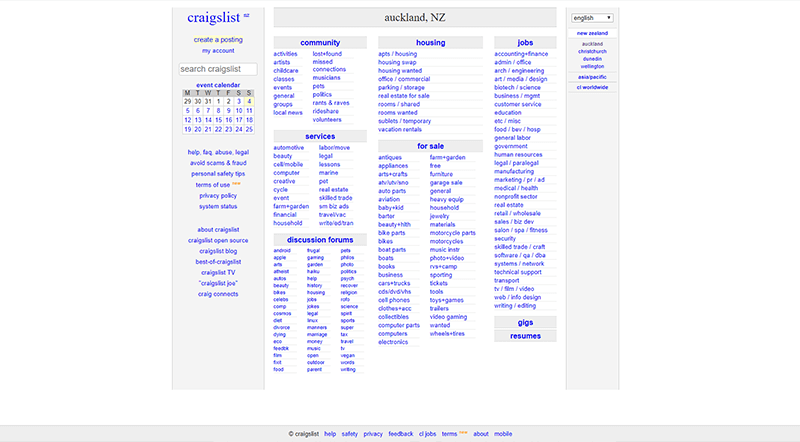 It’s free to list jobs and, once approved, listings will remain on the site for two weeks. If the job hasn’t been filled, users can relist. 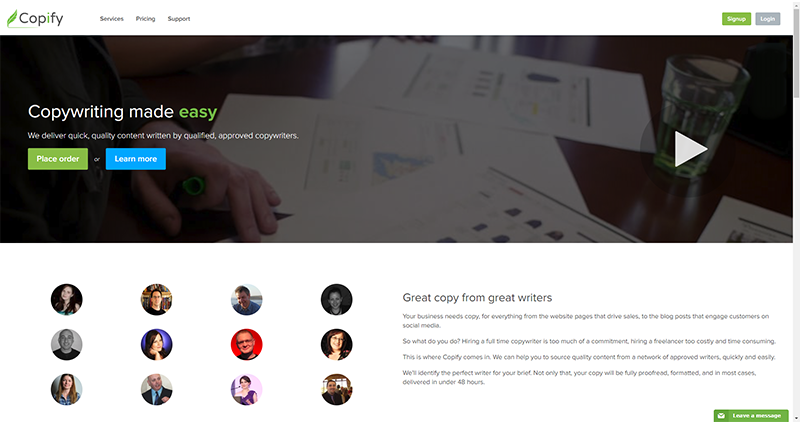 Upwork is one of the most popular freelance websites with millions of freelancers specializing in many different industries. 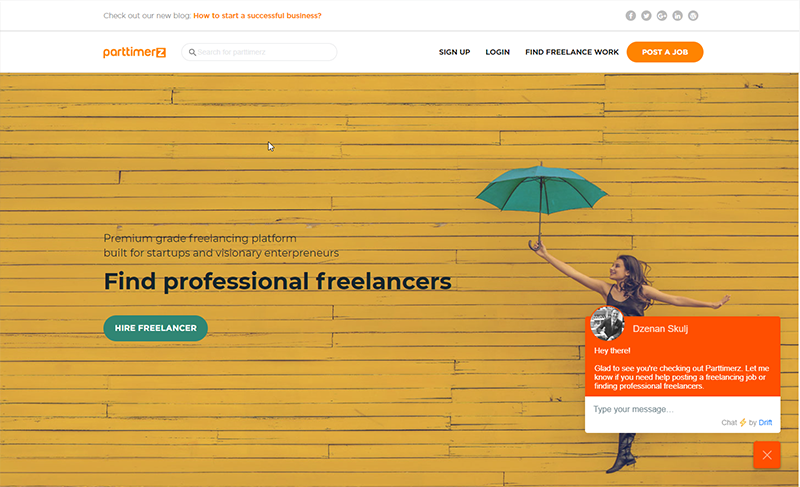 It’s free for freelancers to sign up and set up a profile, and clients can set up an account and post a job without paying membership fees. 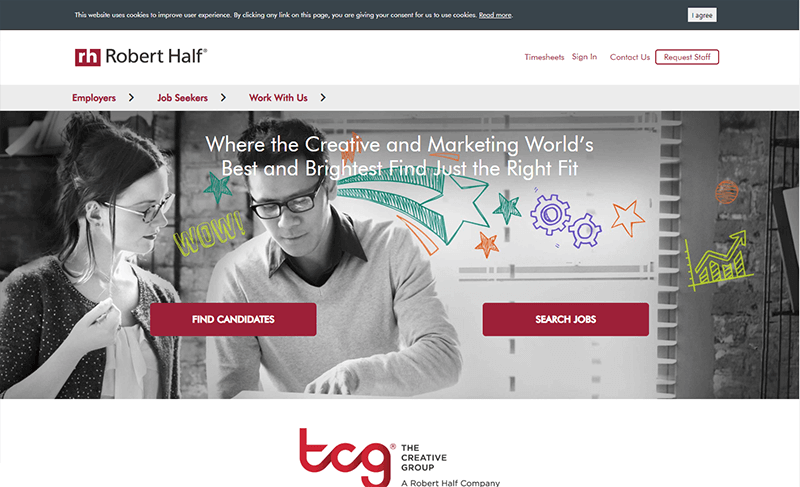 The Creative Group If you are searching for the best and brightest minds to help with an ongoing project, you might want to consider this website. 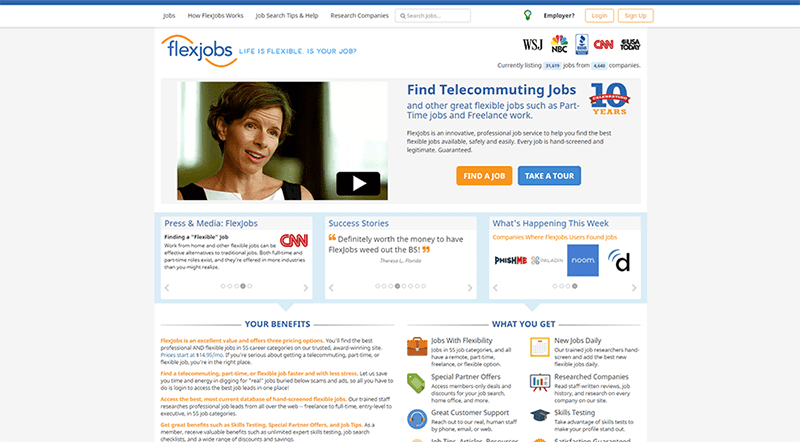 They help find the best fit for the kind of jobs you have. 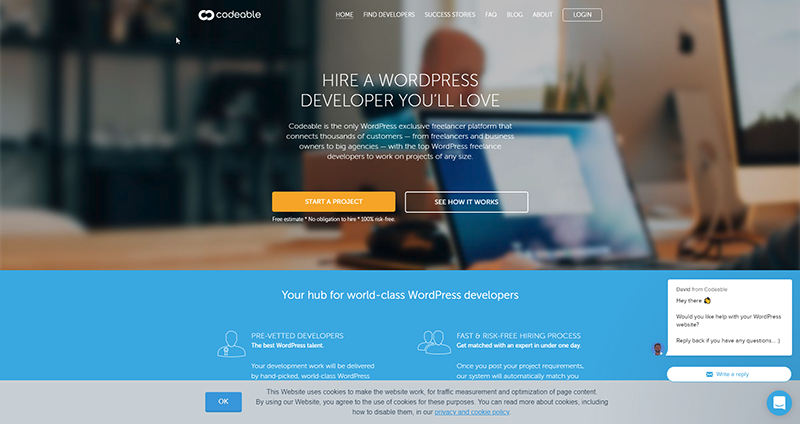 Codeable is the only freelancer site that works exclusively with the WordPress platform. WordPress developers first go through an application and vetting process. Clients are also vetted and are turned down if they don’t meet Codeable’s standards. 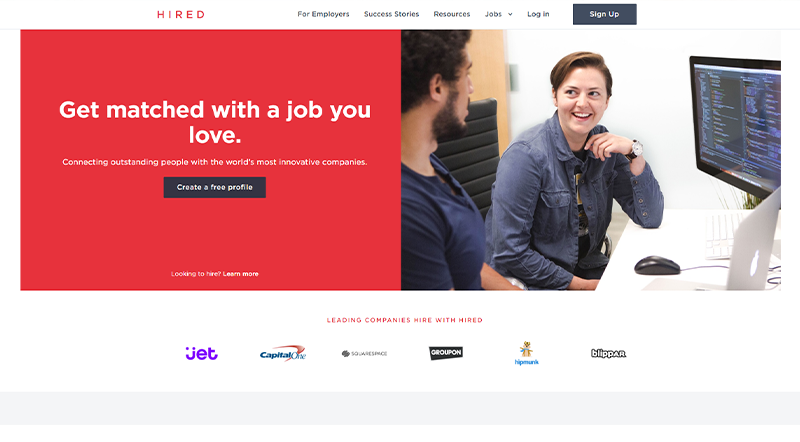 SimplyHired is a job board site where companies post a variety of job offers, including in-store positions and on-location offices. 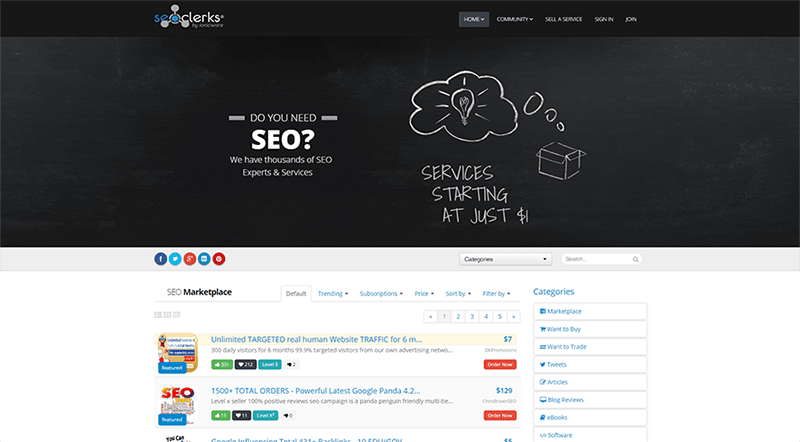 Seekers can search by location, type of job, salary, or company. 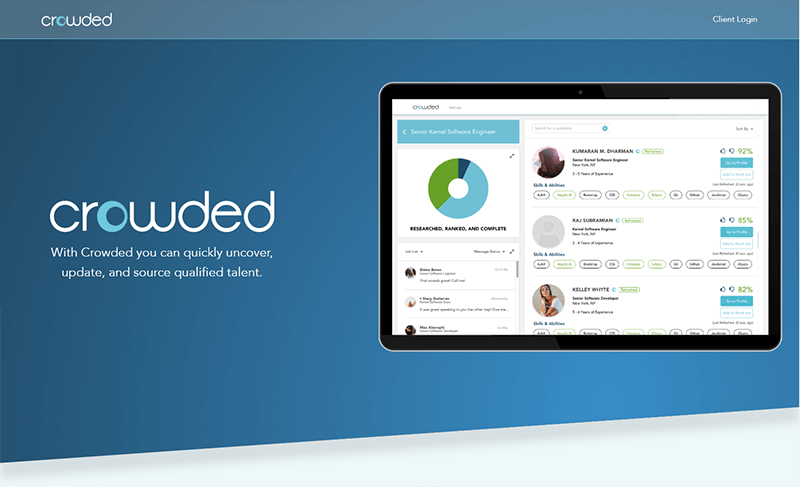 SimplyHired also cross-posts to other job boards like Indeed and GetHired. 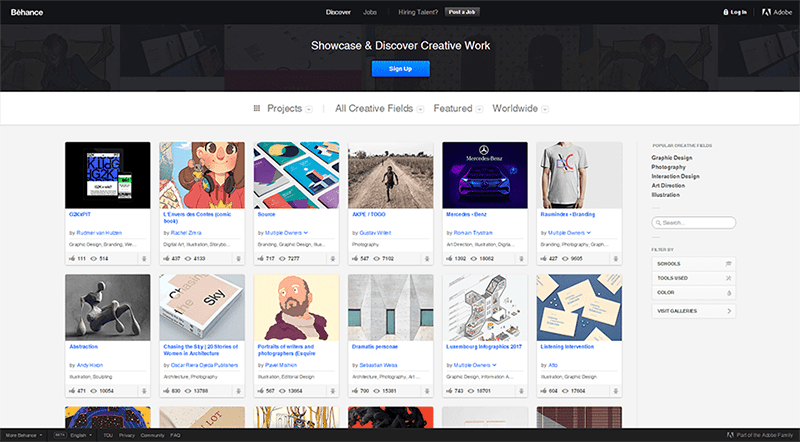 Dribbble is one of the fastest growing privately-owned companies in the United States. 100% of their employees work remotely. Membership is invitation only unless you purchase a Pro membership at $5 per month. 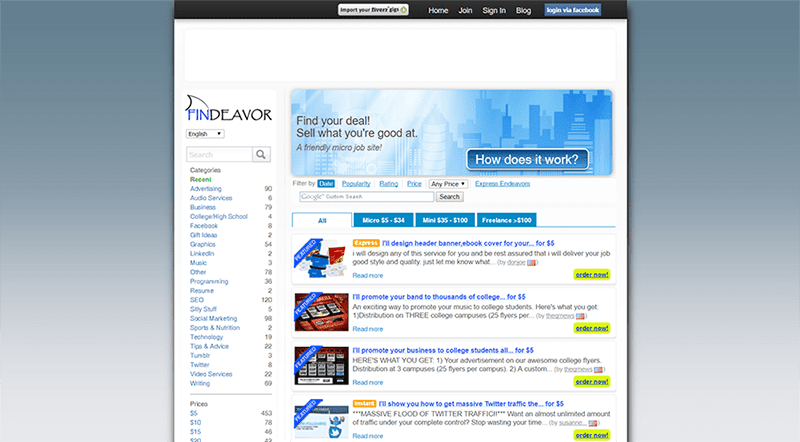 Hired has four locations and operates internationally in the United States, United Kingdom, Canada, and France. Their job offerings are primarily remote technical work, but also include design and management opportunities. 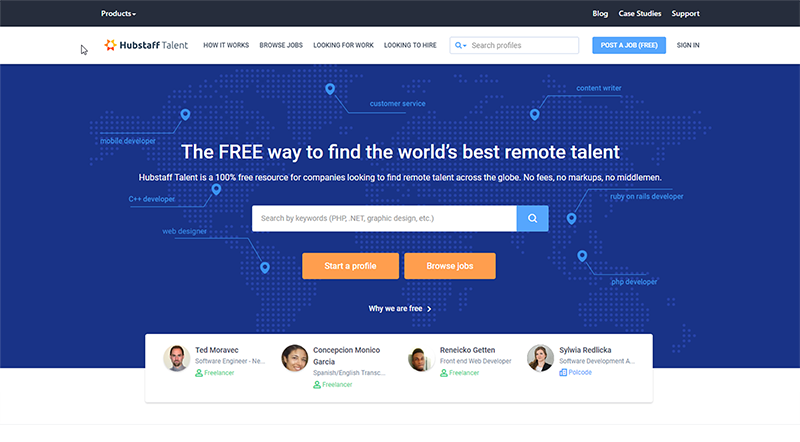 Hubstaff Talent works with freelancers and agencies to connect with business owners looking for remote talent. There are no fees for either party as it’s essentially a directory for searching and matching. 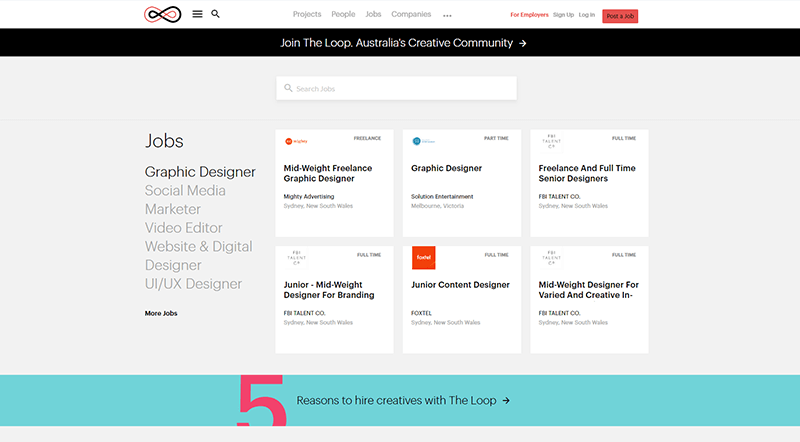 The Loop is an Australian career website for the creative community. 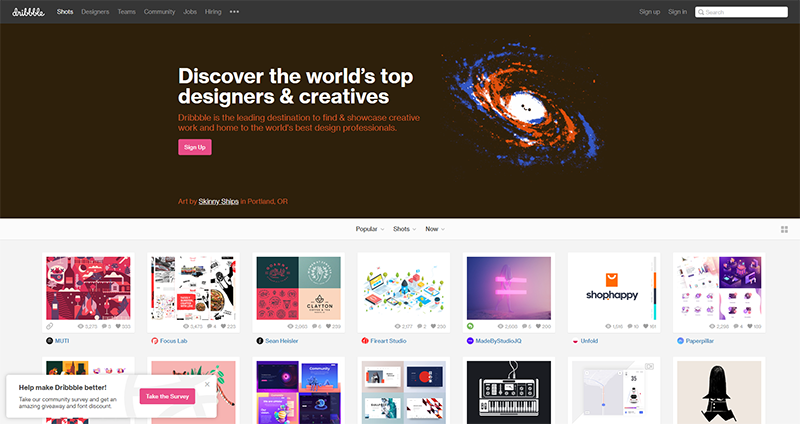 It deals with a wide range of categories including illustrators, designers, video editors, photographers, creative and art directors, and many more. 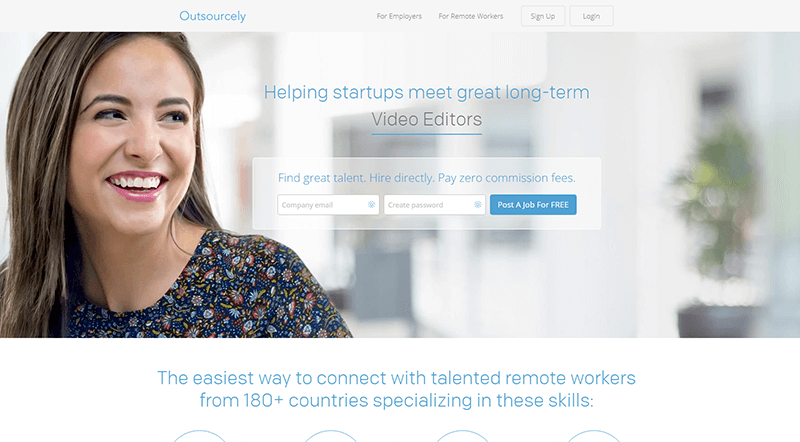 Outsourcely connects businesses and startups with talented, remote freelancers around the world. 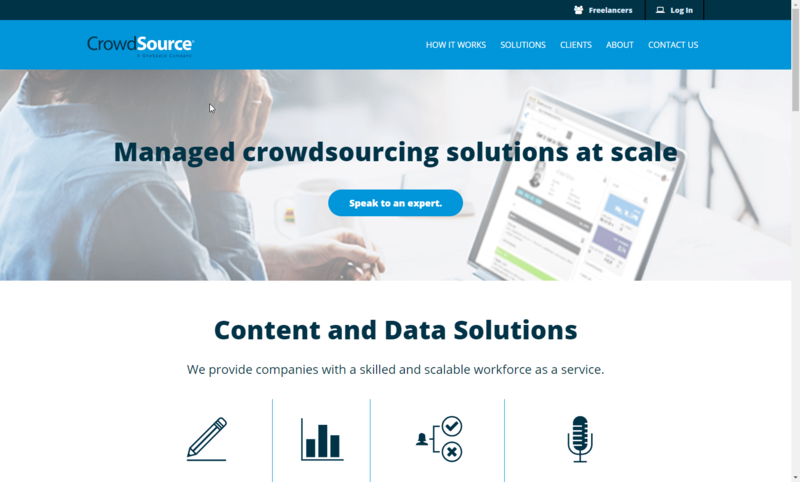 Project managers, content writers, online advertisers, virtual assistants, software developers, video editors, and many more are eager to help. JoomLancers is an online service that offers Joomla/Drupal/Oscommerce web development projects to buyers. Buyers register and create their profiles free of charge and can begin posting projects and receiving bids from thousands of registered freelancers. 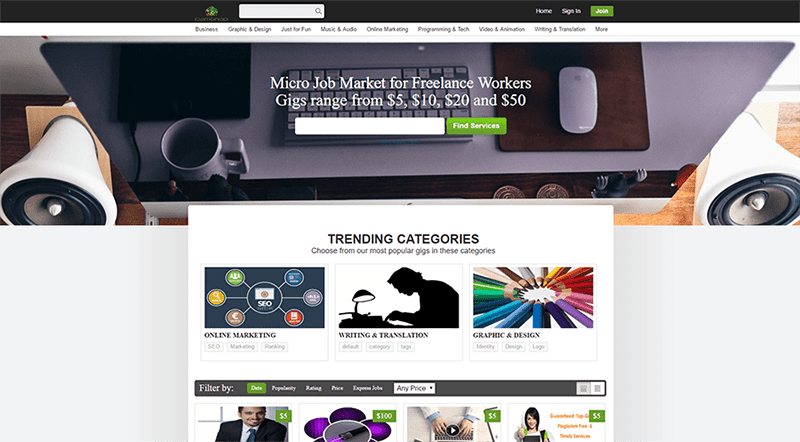 Damongo is an online micro job market for every type of freelancer. 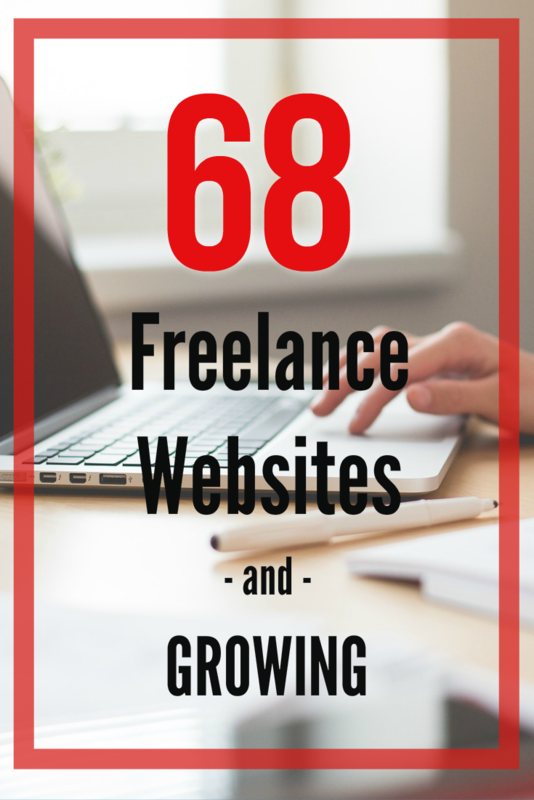 Since 2012, they’ve been connecting businesses with professional freelancers in an array of industries including graphic design, writing, and online marketing. 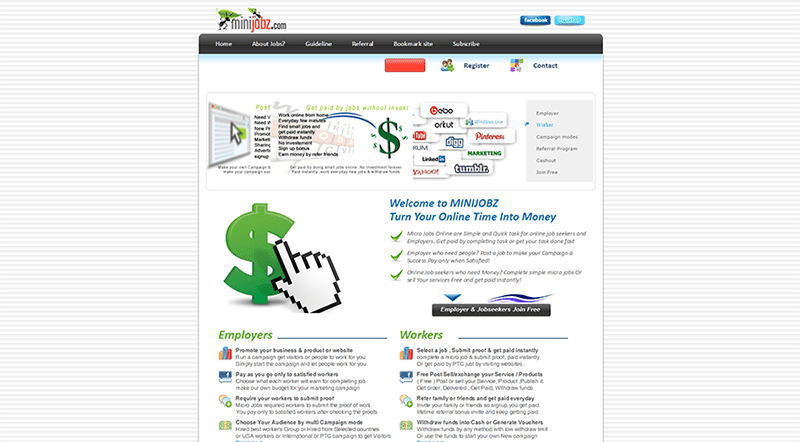 MiniJobz is a micro job website which connects employers to workers fast. It’s free for everyone to join, run a campaign, or begin working immediately. Employers only pay for satisfactory work and can request specific types of workers for the job. 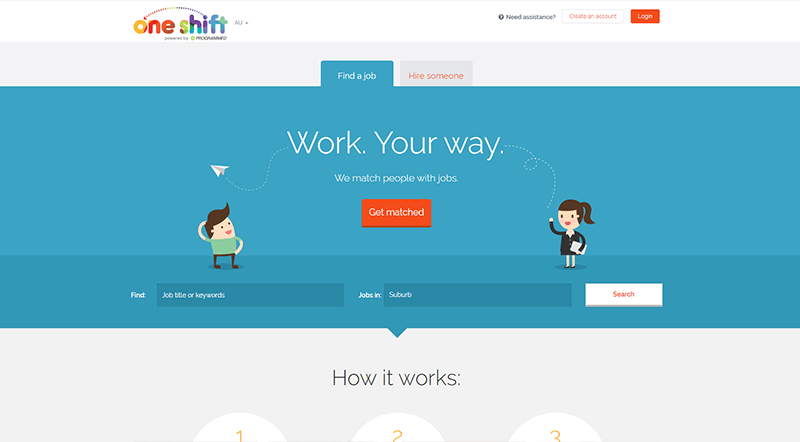 OneShift is a micro job site dedicated to matching people with the work of their choice. 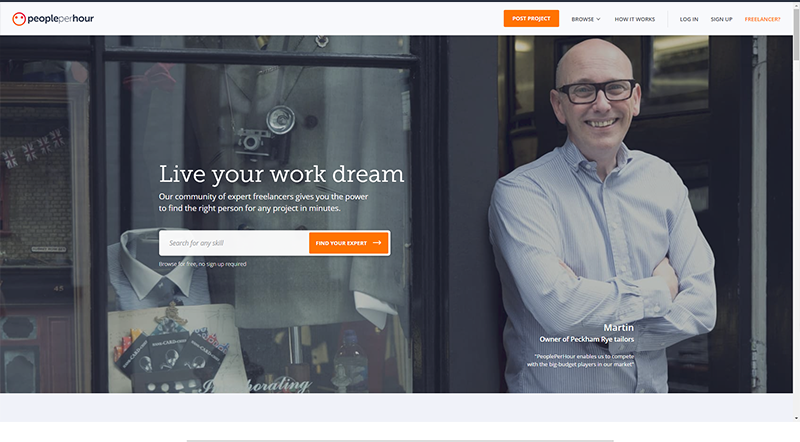 OneShift is simple to use, whether you want to hire someone or find work. 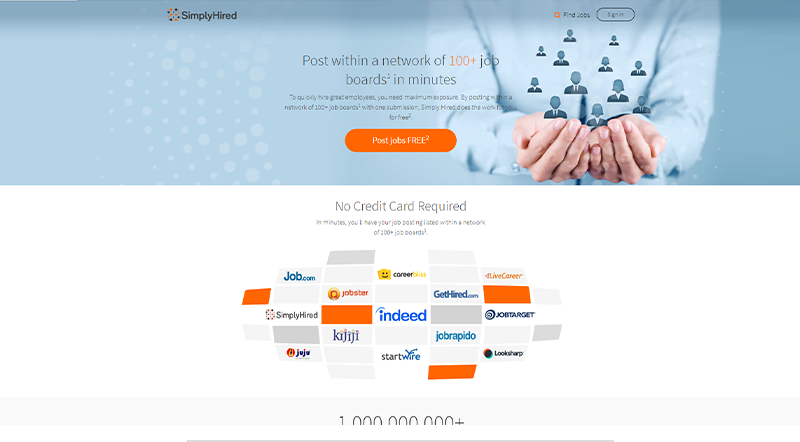 Create a profile to get instant job matches. 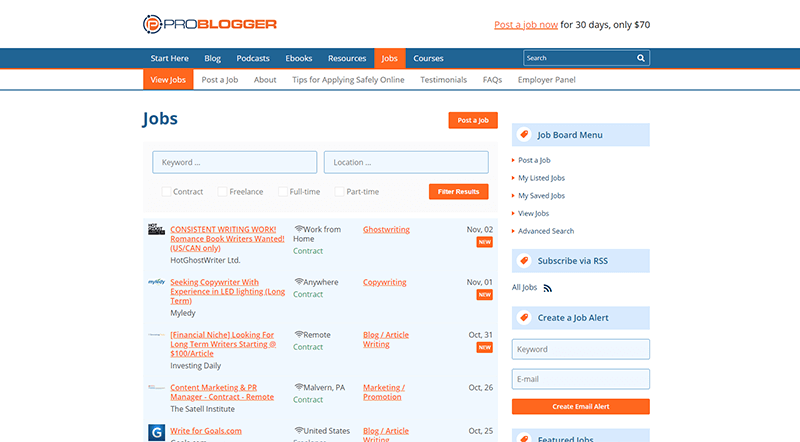 Smashing Magazine offers a comprehensive list of regular and freelance jobs on its job board. 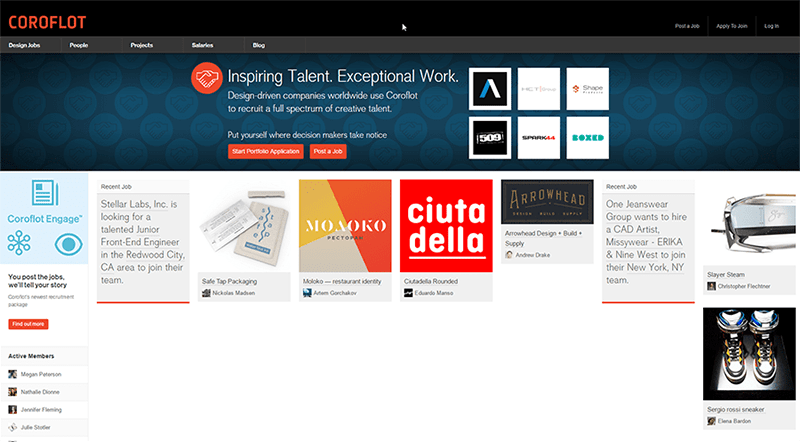 It allows employers and freelancers to post jobs and respond to postings in various categories, like design and programming. 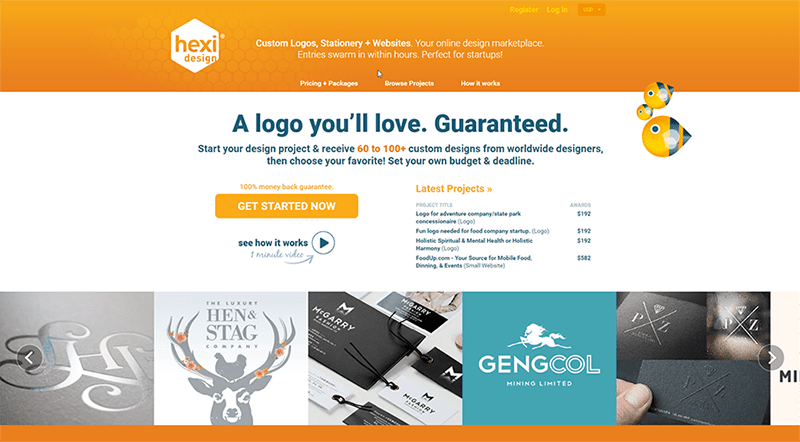 HexiDesign is a crowdsourcing website for design projects, offering help with the creation of logos, stationery, and website designs. 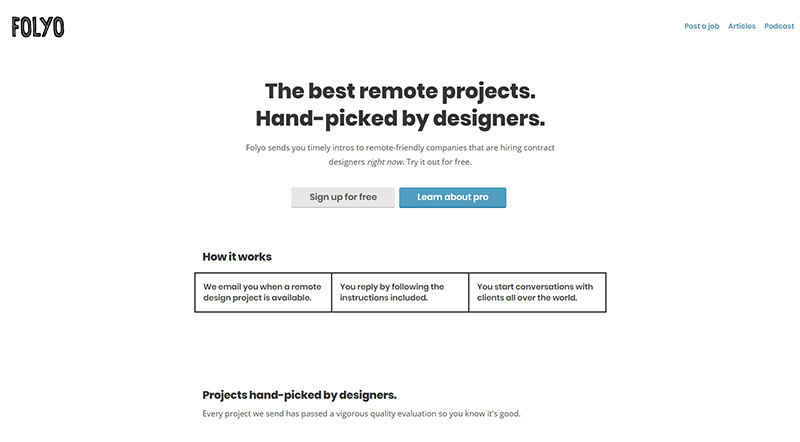 Users sign up for free, post projects online, review submitted designs, then choose their favorite. 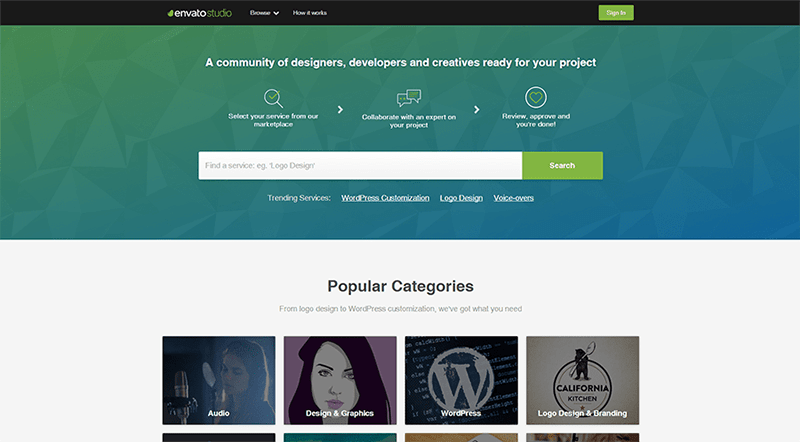 Envato Studio provides a space for talented designers, web developers, and more to offer their services to buyers in need. Services available include logo design and branding, programming, copywriting, marketing, app development, and video and animation. 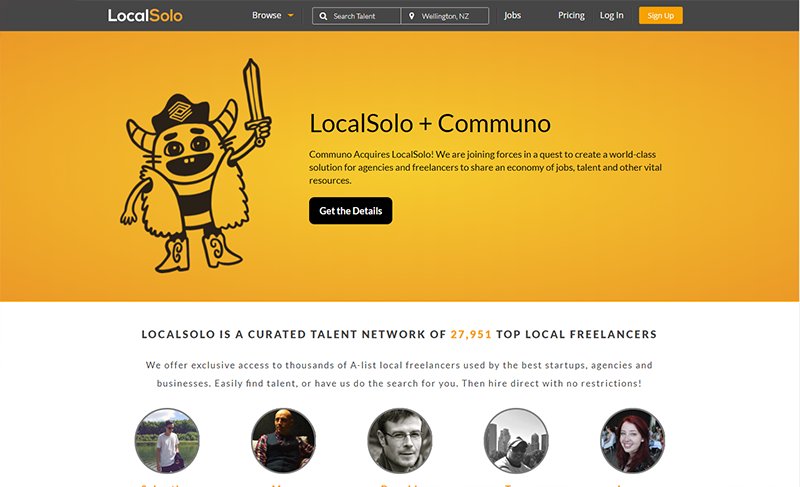 LocalSolo is a local freelancer platform that seeks to connect freelancers and agencies that need their services. 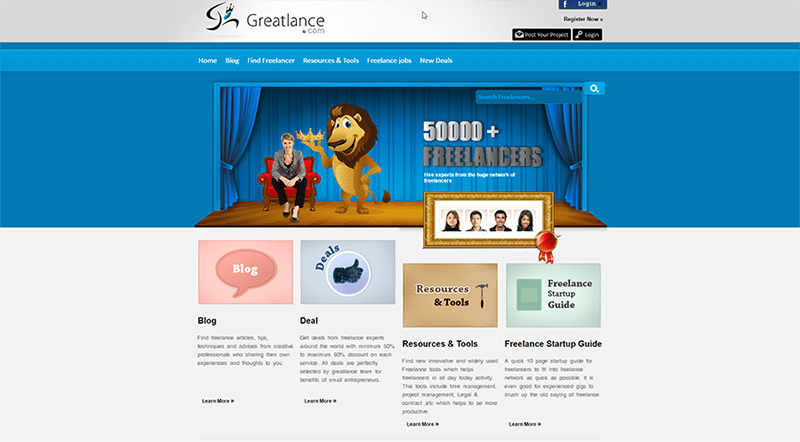 With a network of over twenty-five thousand local freelancers, the website offers clients access to expert freelancers. 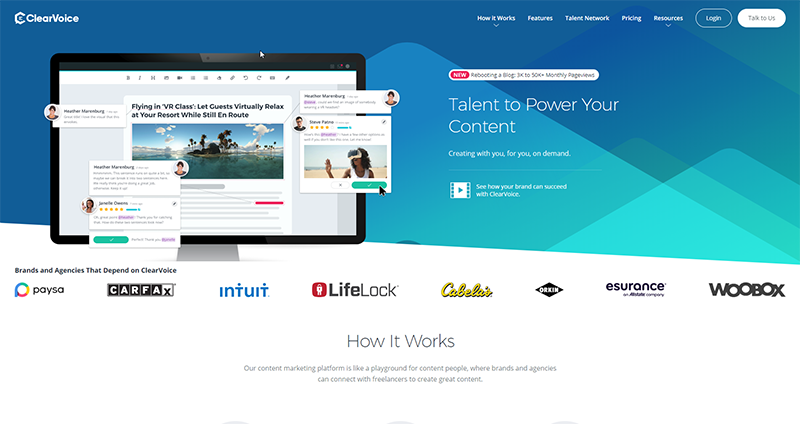 Clearvoice is a content marketing platform where agencies can connect with freelancers. 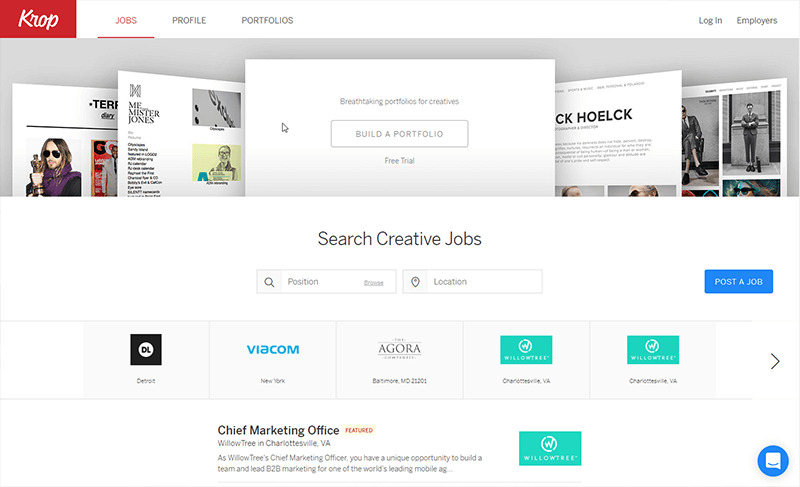 Freelancers get started by building a free CV and portfolio on the site that can be easily shared with social media accounts. 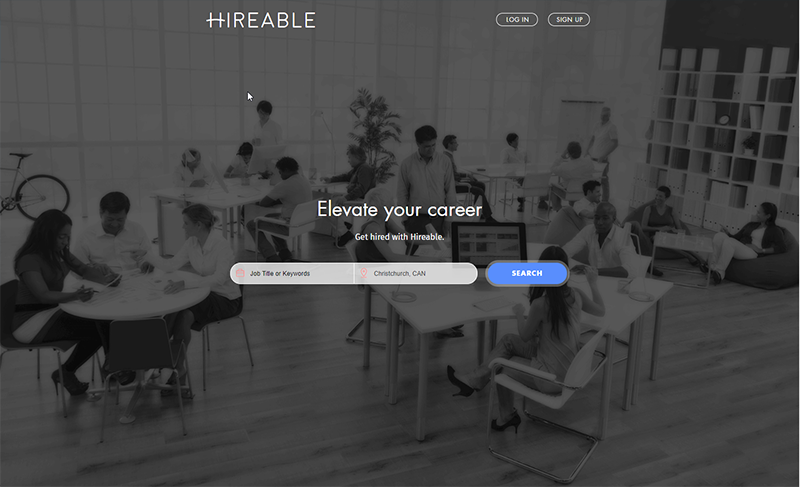 Hireable is an online job board and free job posting platform. 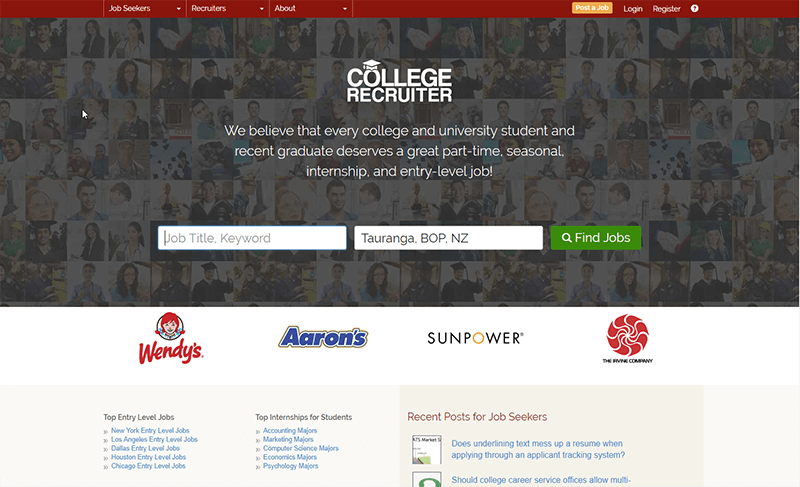 On this platform, potential employers can make their staffing needs known to on through a customized search engine, the platform shows openings when job seekers type in related keywords. 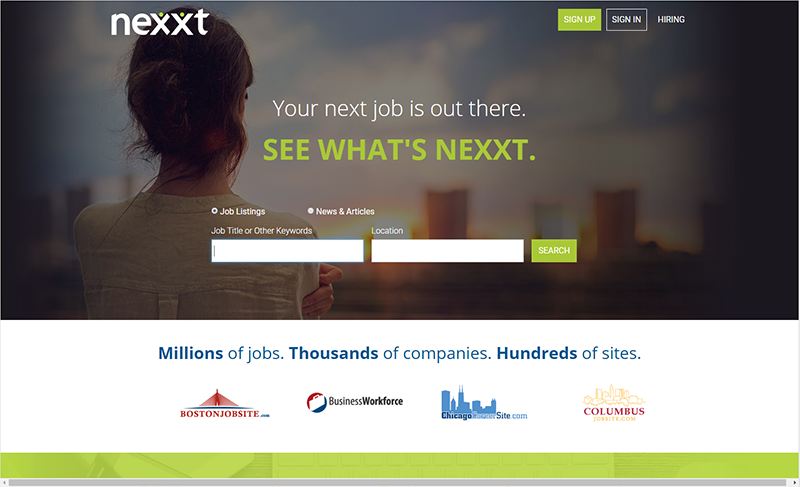 Nexxt is an online job board and job posting platform that helps job seekers find job openings in a friendly work environment. Upon signing up, job openings are sent to the job seekers as they arise. 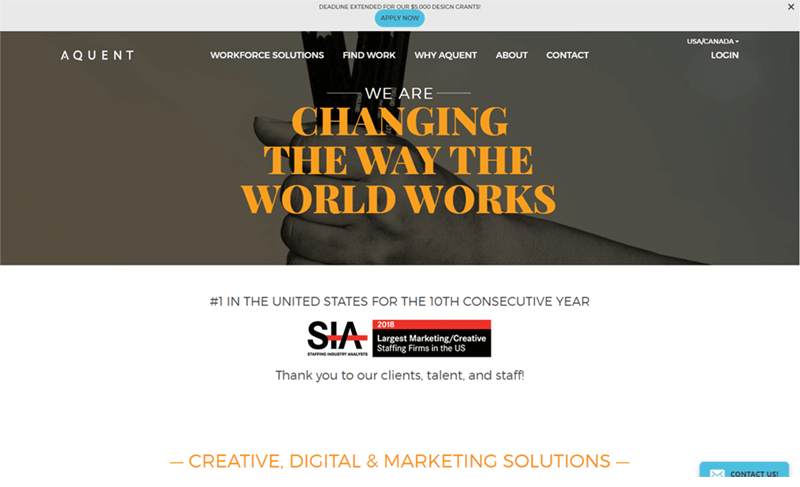 VAnetworking is a site run by Mediamage Business Solutions and has been operating since 2003. 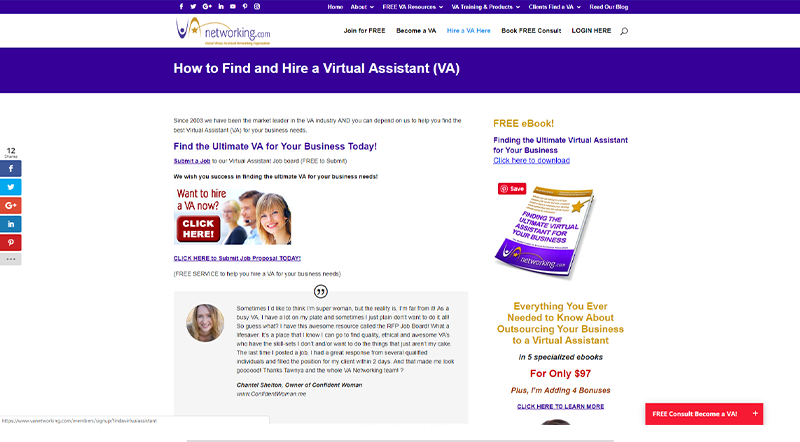 They have an array of resources for existing or aspiring virtual assistants, from instructional videos and e-books to a free VA member lounge. 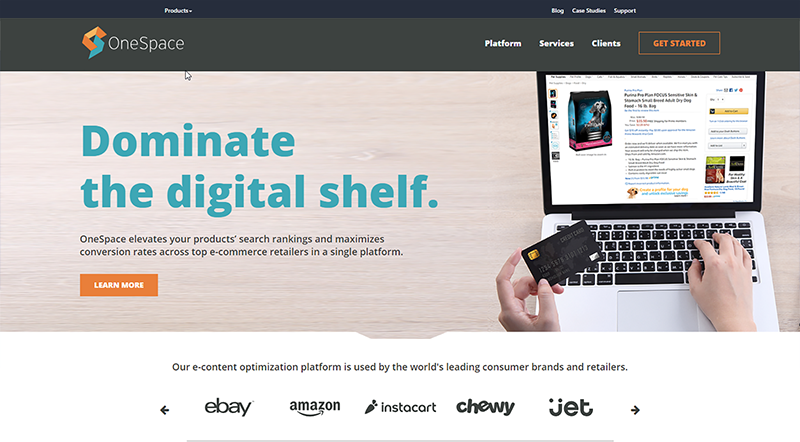 OneSpace works with e-commerce retailers to research customer analytics and improve search rankings. 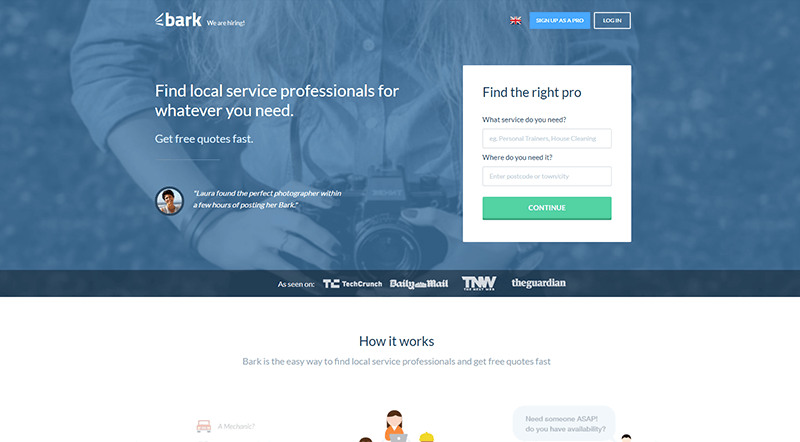 Unlike many freelancer sites, OneSpace does not require a profile. 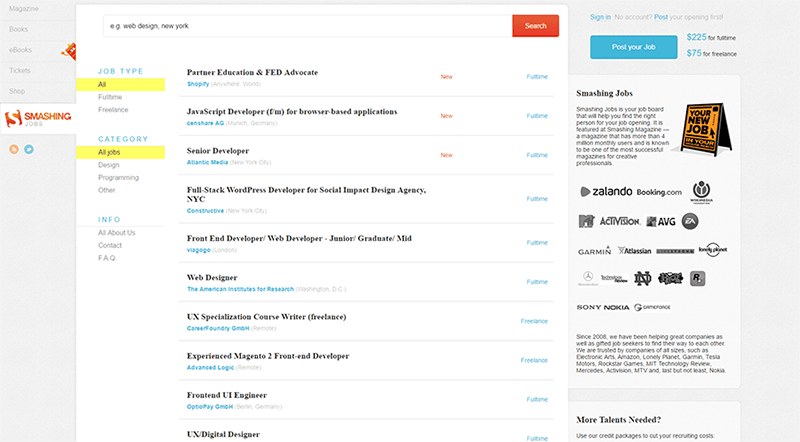 Instead, freelancers search open positions and then apply to the jobs they’re interested in. 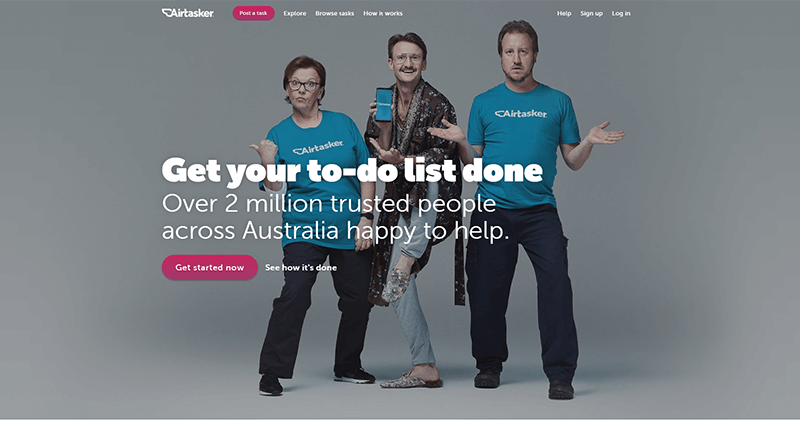 Airtasker, an Australian company and an online marketplace, facilitates the outsourcing of everyday tasks. 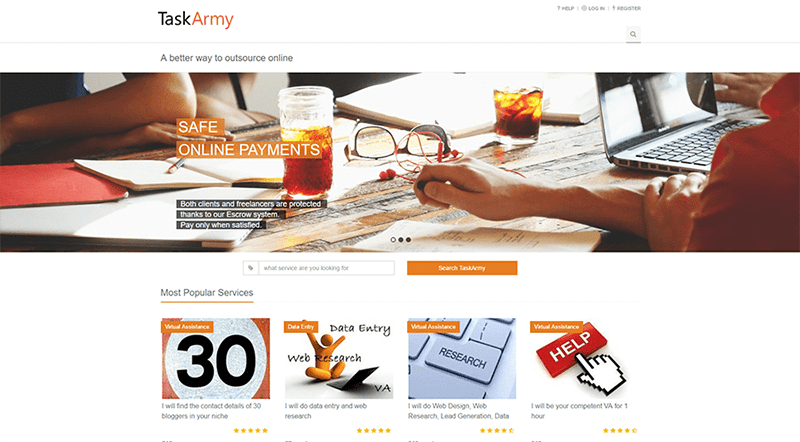 Users give a brief description of the task, as well as their budget. 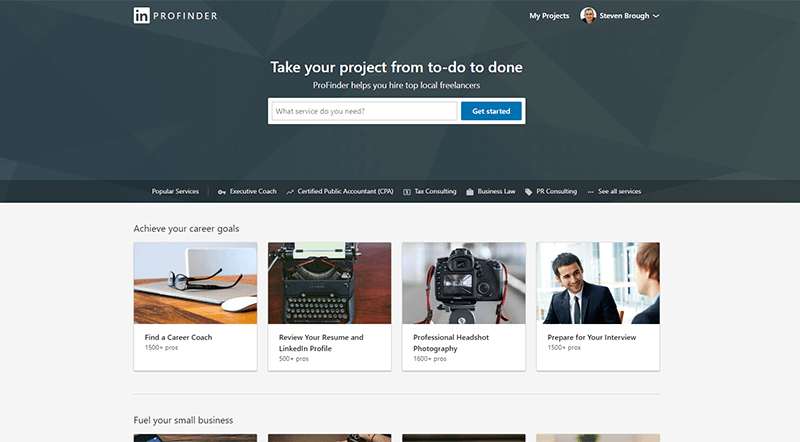 Here, you can access thousands of skilled professionals to complete your to-dos once and for all. 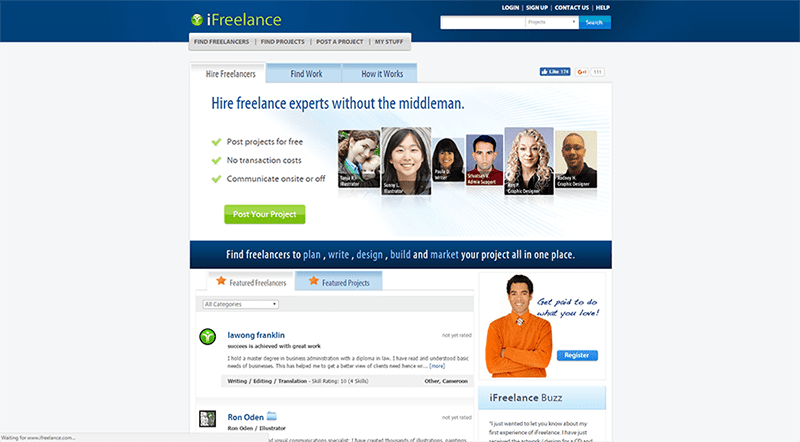 iFreelance allows buyers to post jobs for free as well as communicate with freelancers through the website. Freelancers must pay a subscription fee to bid for projects and keep a profile, but they don’t have commissions or transaction fees deducted from their pay. 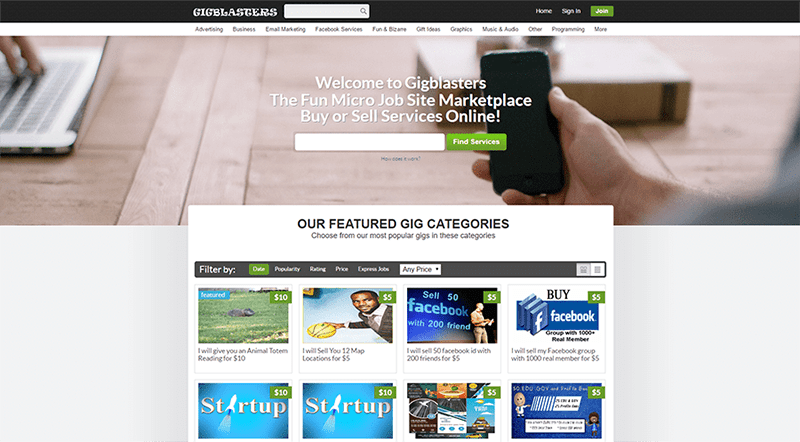 SEOClerks is a micro job marketplace that exclusively offers SEO services to buyers. 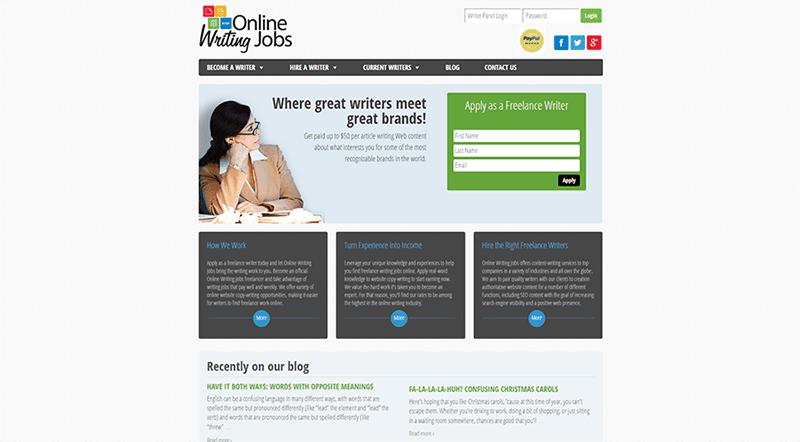 Job categories include but are not limited to link building, social networks, graphics, and content writing. 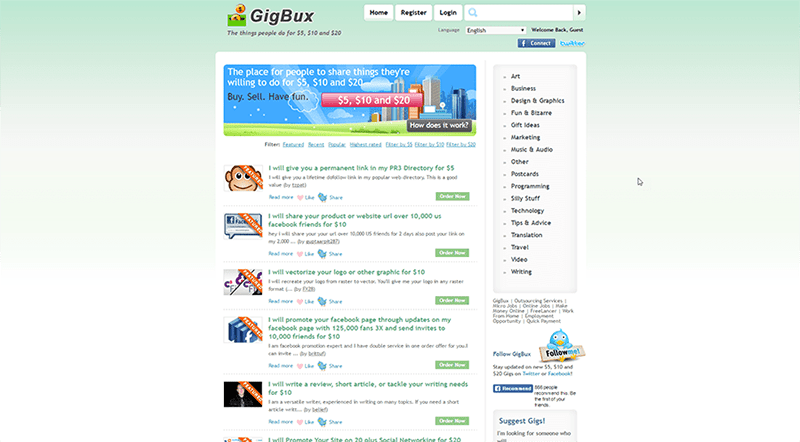 Gigbux is a micro-outsourcing site that focuses on jobs within the $5.00 to $20.00 range. It offers services in a variety of categories including art, technology, translation, business, and tips and advice. 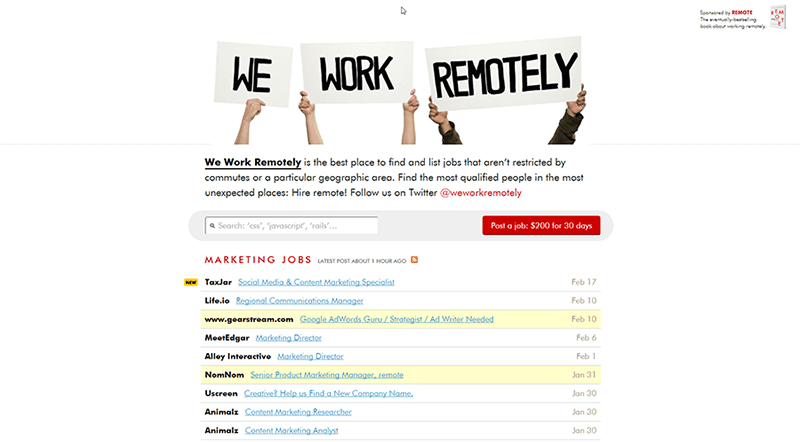 We Work Remotely is a job board listing jobs that can be performed remotely by qualified people from all over the world. Employers are looking for help with programming, marketing, design, copywriting, and more. 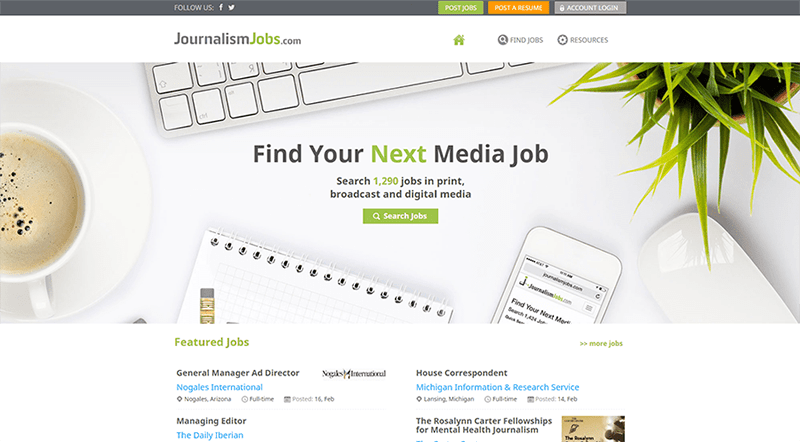 JournalismJobs helps writers and other professionals with journalism-related experience find employment. The job board is a great place for employers to seek out talent in writing, editing, reporting, producing, directing, and more. 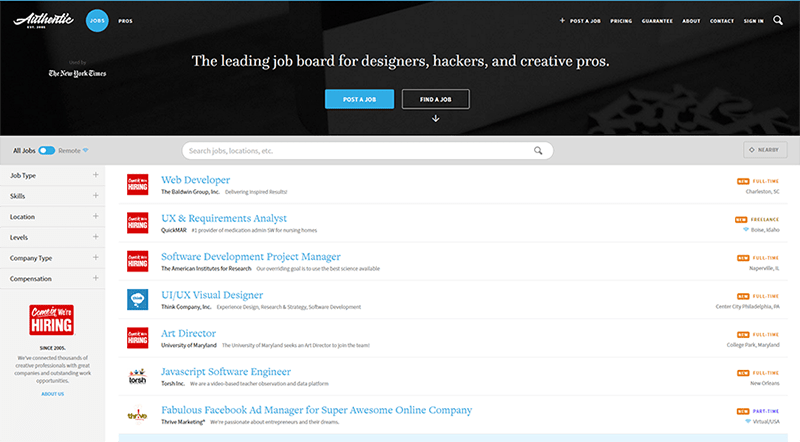 Authentic Jobs is a job board for professionals seeking employment in the areas of design, user experience, app development, copywriting, marketing, and management. Jobs listed are either full-time, part-time, contract, freelance, or internship. 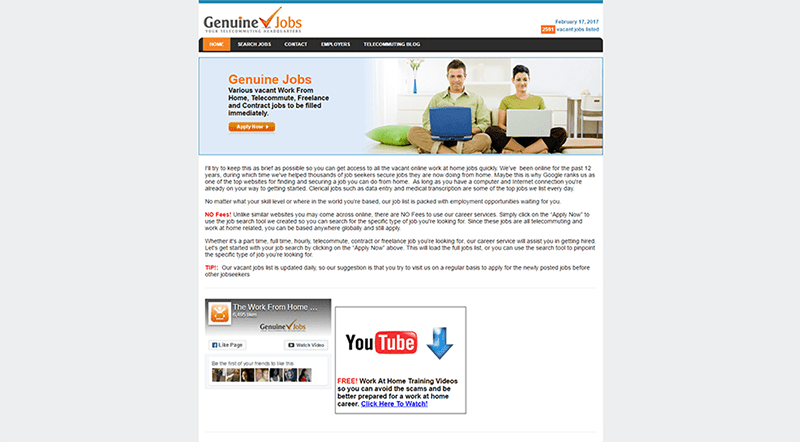 Genuine Jobs has been specializing in connecting people with work from home opportunities for over 12 years. 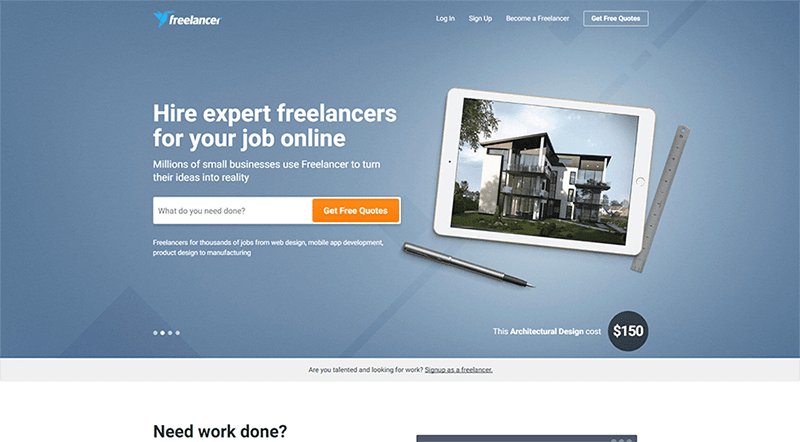 The site requires zero payment for use, making it one of the most cost-effective for freelance and remote job searching. 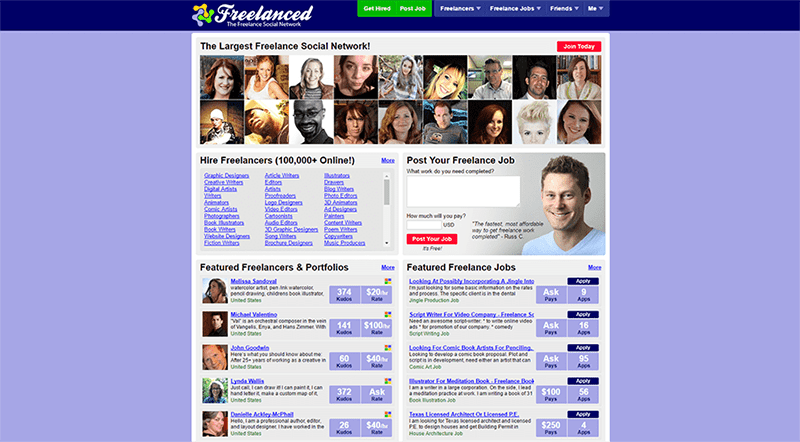 Freelanced is advertised as the “freelance social network” and the largest of its kind. 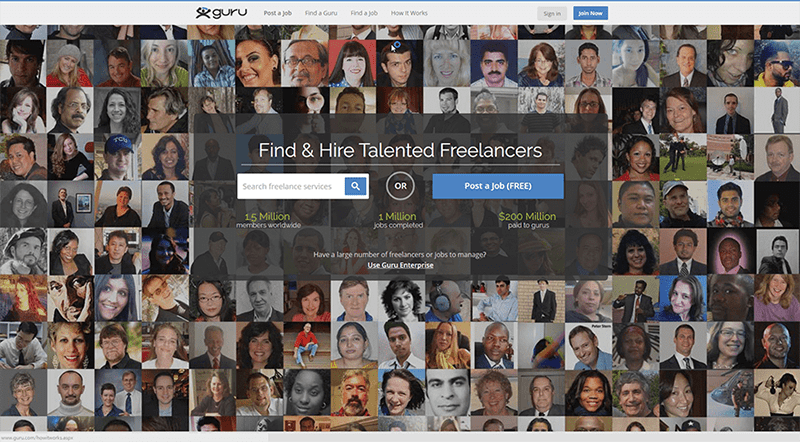 Beyond setting up a profile, buyers can browse thousands of freelancers for hire in different skill categories and can post a job for free. 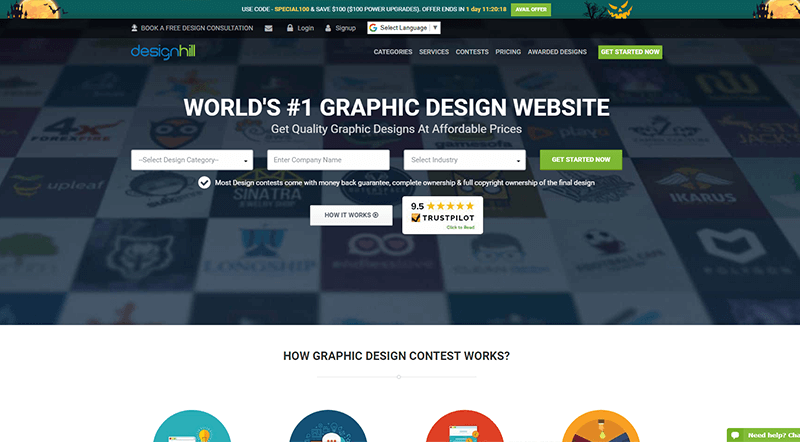 DesignHill is a platform commonly used by graphic designers to find work and share their designs. 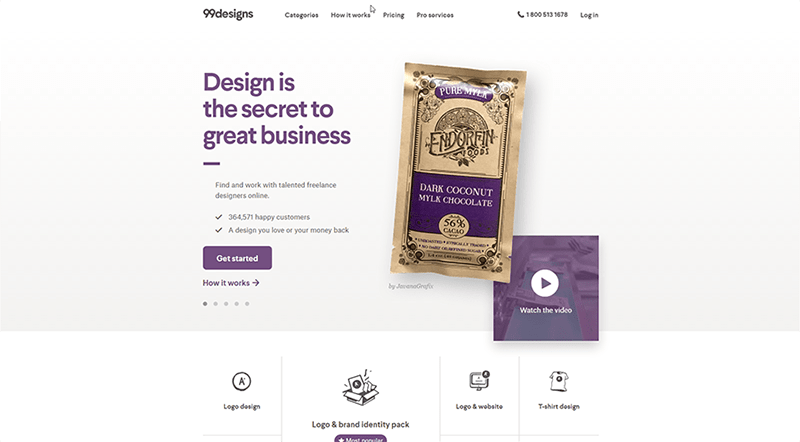 A one-stop marketplace for clients to obtain high-quality graphic designs, one acquires full copyright of a design after making the payment. 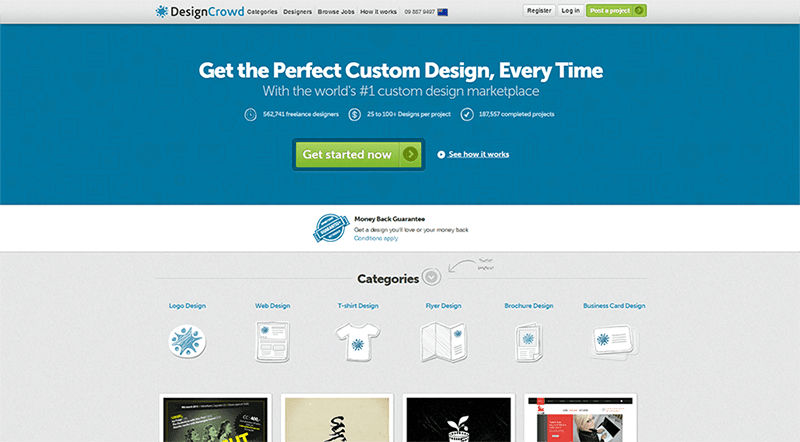 DesignCrowd brings top graphic designers and buyers together at an affordable price with a specialized crowdsourcing system. 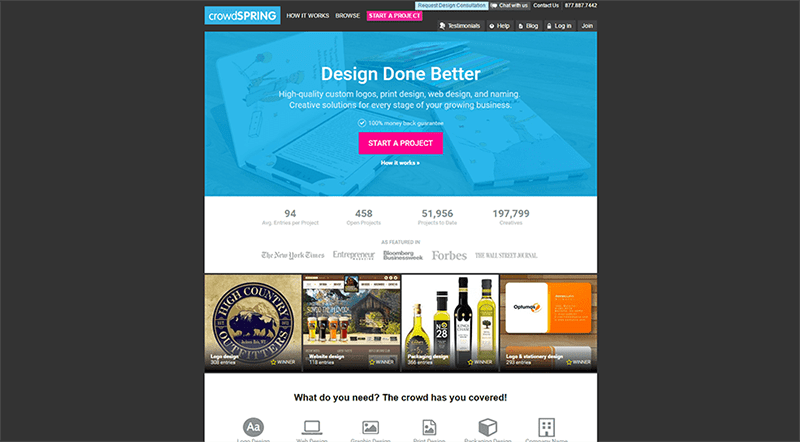 DesignCrowd grants users access to over half a million skilled designers, and the average project….